Velir is a full-service web development agency founded in 2000. We build cutting-edge web based solutions and applications for nonprofit foundations, education institutions, membership associations and large enterprise clients. We believe in using the latest technology to help our clients communicate their message effectively. By implementing and integrating a wide range of technologies, Velir produces powerful, award-winning websites. Clients of Velir include The Brookings Institution, American College of Cardiology, and The John F. Kennedy Library. 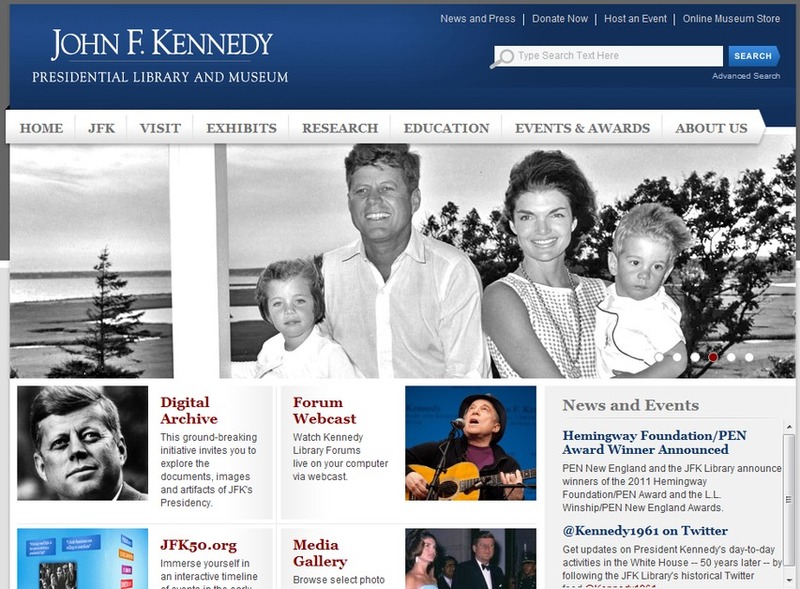 This is a screenshot of the redesign and redevelopment project that was recently completed for JFKlibrary.org.